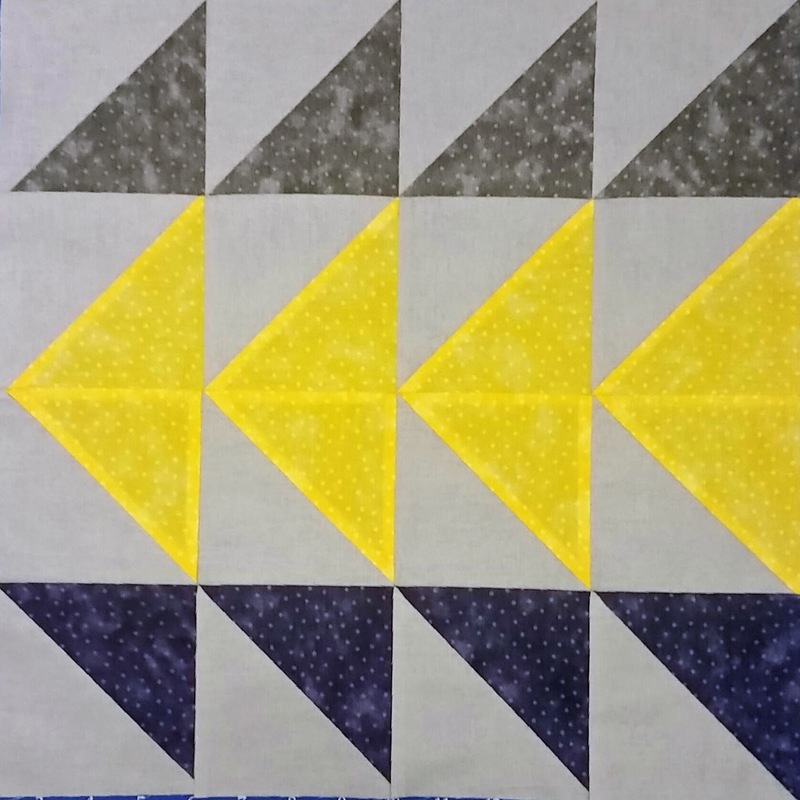 In my last post about the NQC Challenge quilts I mentioned that I'm planning something different with my grey/blue/yellow version of the quilt. I love how the Christmas version, completed as per the challenge instructions, turned out. But for this one I want something large enough for at least a queen size bed. Increase the sashing widths and add borders. I couldn't choose which original blocks to repeat; and while there's tonnes of block patterns out there using half-square triangle foundations, I didn't want to just use any block, or stray too far from the 'feel' of the originals. So I'm going with the second option. And because I can never do things the easy way, I've decided that plain extra-wide sashing to increase the length and width just won't do. My aim for now is to lengthen the quilt with extra wide sashing, but not add more full-size blocks. I also want to make sure that I keep the challenge blocks as the focus so I plan to leave some clear space between the blocks and any decorative elements I add to the sashing. Making reference to the Week 6 challenge block I've decided to add some flying geese between the rows of primary blocks. 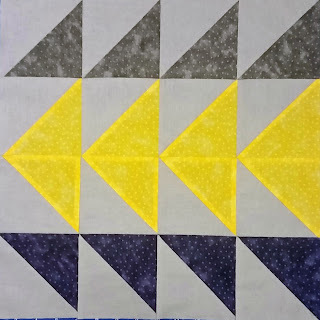 The challenge block used half square triangles to create a pattern that looks like the traditional flying geese block. I probably should have learned another new skill and made more traditional flying geese, but I've returned to my preferred piecing method and done a gaggle of paper-pieced geese blocks. One of the bonuses with doing paper-piecing is that its almost impossible to mess up the points. :) On the down-side, I didn't quite get the same sense of achievement completing all those lovely matching points with paper-piecing as I was getting when the traditional / main blocks went to plan and all lined up properly. All up I've made 24 lots of flying geese blocks with finished size of 4x8 inches each. I then joined two at at time to create twelve strips of flying geese (8 "geese" per strip). To each of those I've added an outer border of 2 inches wide strips of the pale grey fabric. The flying geese will end up at the top and bottom of each of the challenge blocks and add 32 inches to the length of the overall quilt. I'm really happy with how this is coming together so far. 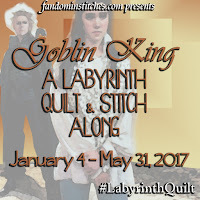 Next up will be adding to the width of the quilt and putting it together.